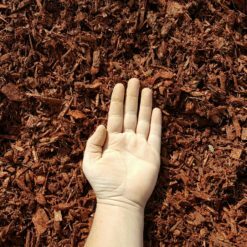 Our Bark Mulch is processed the industry standard two times for a finer, more consistent grind and a dark brown appearance. 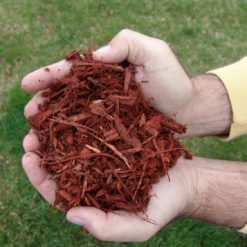 This bark comes from the south, shipped up from the paper mills. 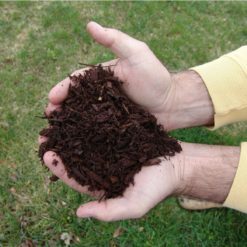 100% Southern bark is the only product that has a natural sweet and mild fresh cigar smell. 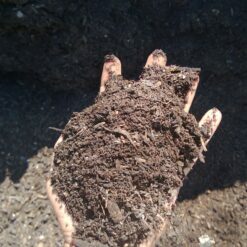 Takes about a week to dissipate. 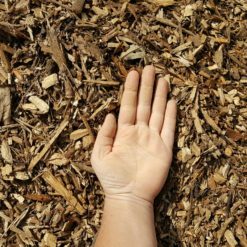 Eco-friendly, no construction C&D wood or used pallets in this mulch! 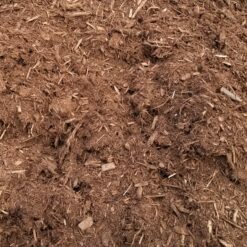 Watch out for bark blends, ours is straight off the de-barker from hardwood processors. 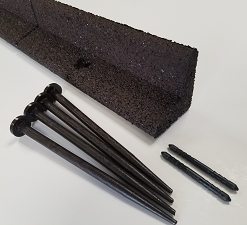 In-fact this is the only product that we don’t make. 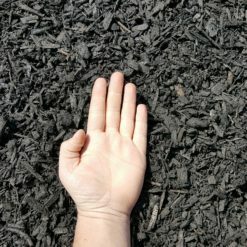 Colorant free, this mulch receives its color from a grind and age process. 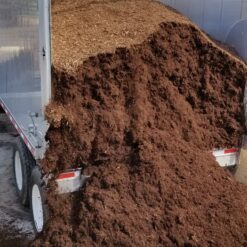 Aged mulch tends to have more fines. 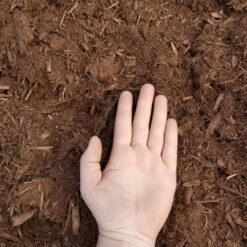 Tends to last a year with great matting ability to stay put and resist temperature swings on fragile root systems.The classic Bark product your plants will love! 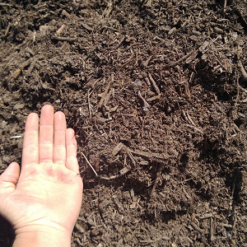 Recommended application is around 3 inches for best weed resistance, moisture retention, and frost protection. 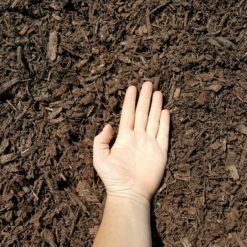 You should go a little less around small plants, however with less all around you could be allowing weeds to grow or plantings to suffer from frost or extreme heat. 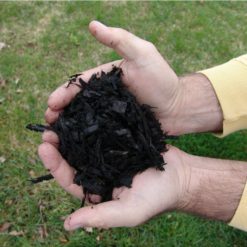 The mulch acts like a blanket to extreme temps and droughts. 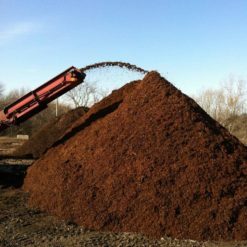 You will find yourself mulching more often when too little is used. 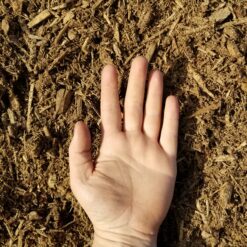 More than 3″ is just wasteful and could choke out plants. 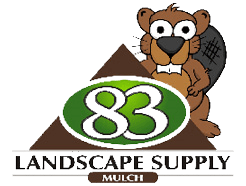 4″ can be used around well established trees where you want no competition to insure great growth. 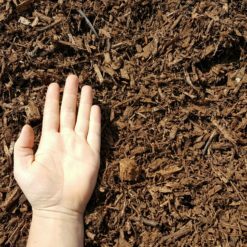 Make sure mulched tree rings taper off near the bark of the tree.